Big campaign about completing 175 years and how it is part of the history. But if people at Times of India don’t watch it… they would soon be history (if not sacked already). The Picture is the proof. 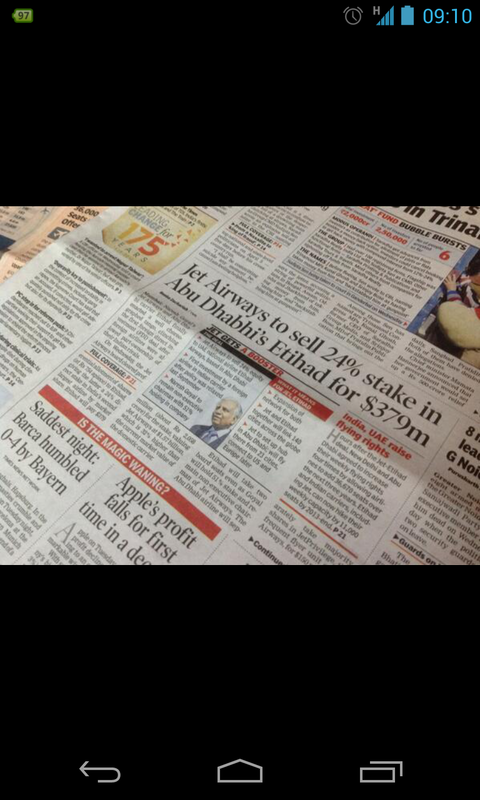 Did Jet Airways sell it’s stake in Etihad or did Etihad buy stake in Jet Airways?? Who sold what? Or Who bought what?